City Plaza is a freehold office building located in JB City Centre, Johor Bahru.The built-up available at this project is 936 sf to 1,712 sf. Other neighbouring projects around here are Menara MBJB, Menara MSC Cyberport, Menara Pelangi, Menara Zurich, Metropolis Tower and Wisma Abad. As for hospitals, there are Century Medical Centre, Shi Kang Medical Centre and Tung Cham Hospital. There are also some universities here, i.e. Reliance College, Reliance College (Johor Bahru) and Universal Business Academy (Uba). 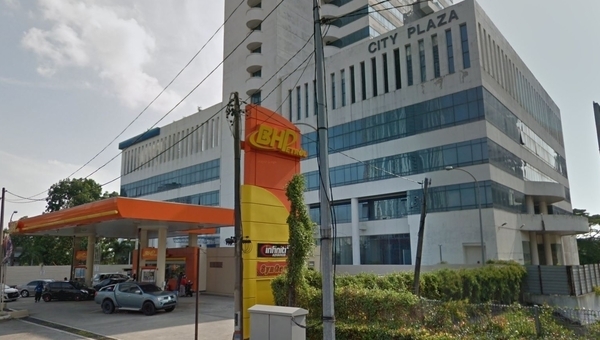 The current market prices for City Plaza are from RM350,000 to RM600,000 (about RM350 psf); while the monthly rentals are from RM2,000 to RM6,200 (about RM2.30 psf). The highest median price psf ever recorded was RM375 psf in Q1 2017; while the lowest one was RM260 psf in Q3 2013. The most popular layout and size combination at City Plaza is 1,712 sf with a median price of RM350 psf. For price wise, the most expensive one is 936 sf with a median price of RM370 psf; while the cheapest one is 1,712 sf with a median price of RM350 psf.